‘Timewarp & Love Family Park’ in the sunshine…. Your chance to win tickets to Croatia’s ‘Sonus’ Festival! You are here: Home / competitions / ‘Time Warp & Love Family Park’ in the sunshine…. Your chance to win tickets to Croatia’s ‘Sonus’ Festival! There’s a brand new kid in town! This year sees new Festival Brand “SONUS” in Croatia. Exciting news enough – but more excitingly it will be brought to you by the same people who brought the world ‘Time Warp’ and ‘Love Family Park’. This stroke of brilliance will be held on the island of Pag – the same location as the famous Hideout festival. Set on the infamous Zrce Beach right in the heart of the Island. Festival lovers will be treated to 5 days and 4 nights of non-stop, pure class electronic music, in all its glorious forms and surroundings. 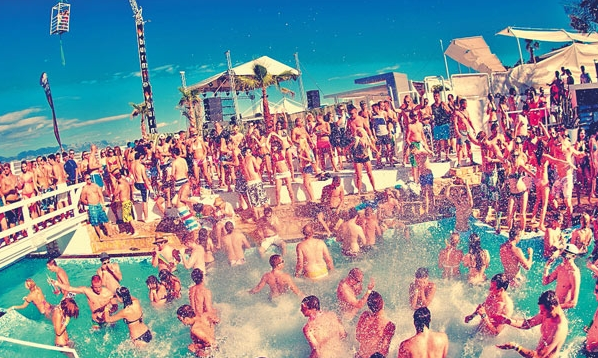 On top of all this, are the infamous Croatian boat parties, which will run all week, featuring parties from Time Warp & Sonus, Fuse UK, Wet Yourself Ibiza and Cadenza. The last night’s antics are being kept under wraps for now, but with the after party being the chance for all visitors to bid farewell to new found friends and conclude together the best long weekend of their lives, be sure it will be nothing short of special.. Closing date for entries Fri 9th Aug – winners announced on Monday 12th Aug (prize does not include flights, boat party entry or accommodation*)… Good Luck! Closing date for entries Fri 9th Aug. Prize does not include flights, boat party entry or accommodation. Entrants must be over 18 years old. The winning entrant will be selected from all completed entries at 3pm, Fri 9th Aug 2013 and will be notified by 5pm, Mon 12th Aug 2013. All other costs are the responsibility of the winner. The persons named as the winner of the prize must redeem the prize and the prize is strictly non transferable. Win Tickets to Sirup Nation Festival @ at Fort Punta Christo in Croatia!! Win Italoboyz ‘Superfiction Episode 1’ Release + Free entry to Label Launch Party + Drinks!